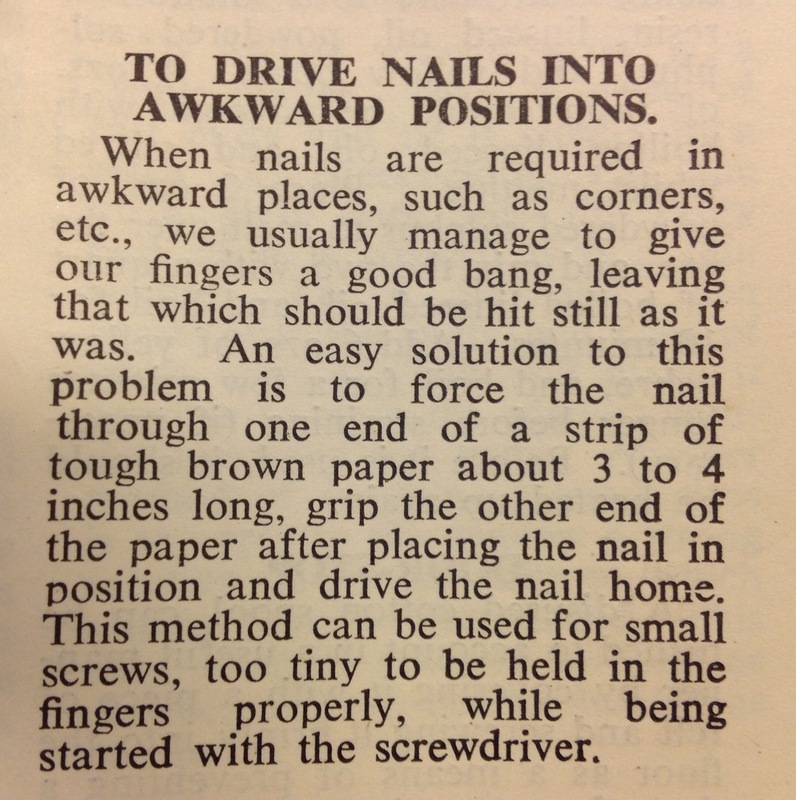 Avoid bruised fingers and expletives when you drive home that awkward nail with this week’s handy hint. It’s taken from Home Hints for the Modern Housewife, published in London by Featherstone Press Ltd in the 1940s. This book is part of our Home Studies Collection which contains over 700 historical cookery and household management books from the last 300 years. Remember these hints are from bygone times and not to be tried at home!